Of all the music venues in Copenhagen, Vega is the most stylish. Vega, or as the building it is situated in was originally named Folkets Hus (House of the People), was was built in the 50s as a gathering place for Social Democrats and trade unions and the compelling slogan for the place was “a venue for all.” The house and everything in it down to the lighting and signs was designed by architect Vilhelm Lauritzen. Even after the building was sold at an auction, the various halls kept their original names all after prominent Danish socialists such as Stauning and Auken, Lyngsie a trade unionist and Nina Bang, the first female minister in Denmark. Thankfully Folkets Hus was listed before anyone could turn it into a shopping mall or some other form of monstrosity and now stands as a beautiful example of modernistic and functionalist 50s architecture. In 1996, the same year the building was listed, Vega opened its doors for the first time. The venue is divided into two scenes, Lille Vega and Store Vega each with additional bars and balconies. 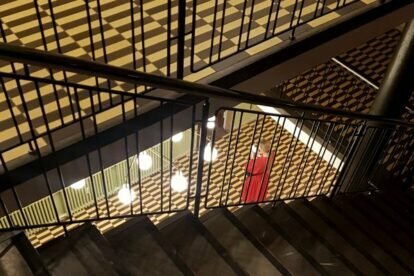 You will almost inevitably get slightly lost on the stairs between the floors at some point and might end up in the smokers lounge on your way to the toilets. Both concert tickets and the bar items are on the pricey side, but the sound in Vega is good, and the range of concerts with current artists is wide and really good.